We are delighted to announce our newly acquired ‘Active IQ Centre Status’. In our quest to ensure that all of our learners receive the highest training quality, and are able to access the most up-to-date knowledge, skills and qualifications, we felt it necessary to widen our network of awarding bodies to ensure that we can draw upon a greater range of resources and skills. Post April 2012, we will be releasing a multitude of new health and fitness-related courses and qualifications that will provide both our new and existing customers with a greater opportunity for progression. Furthermore, these qualifications will be released at unbelievable prices and as always, will be accompanied with our superior learning materials and support systems. In order that we are able to achieve our mission by “raising the standard of fitness professional”, and providing “more affordable and accessible training”, we feel it is now more crucial than ever that we provide you, our customers, with more choice. 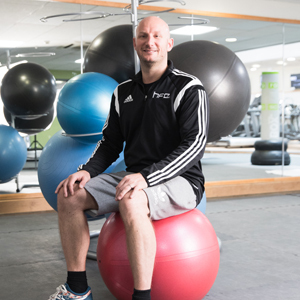 Active IQ is one of the UK’s leading health and fitness industry awarding bodies and along with our existing qualification provider, Central YMCA Qualifications (CYQ), they have played an instrumental role in evolving the health and fitness industry into a credible profession. We are both optimistic and excited about this new venture, and look forward to providing you with more information about our new range of courses and qualifications as soon as they become available.